I’m absolutely terrible at taking photos at my own parties. Terrible! 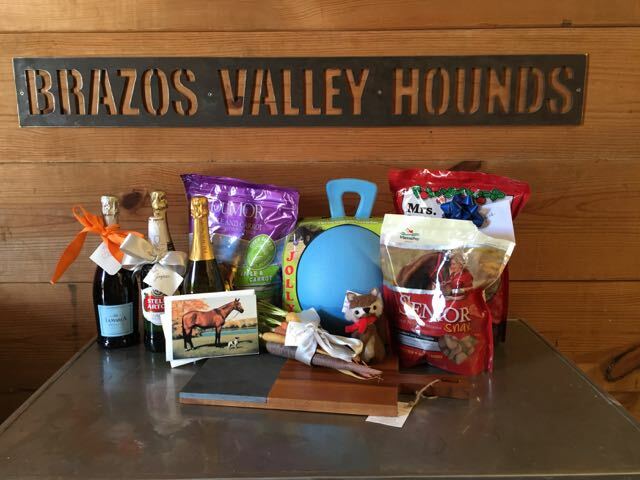 We had a lovely gathering of horsey and not-so-horsey friends over to celebrate Jaguar’s retirement. This year has been so hard, I needed something happy to happen at the farm and this was just the ticket. I’m sure many of my friends and family think I’m a little bit nuts because I tend to mostly have parties for my animals. Not birthday parties like normal people with animals and not kids have, but Sip and Sees and horse retirement parties. However I’m beyond grateful that they indulge me and attend said parties. 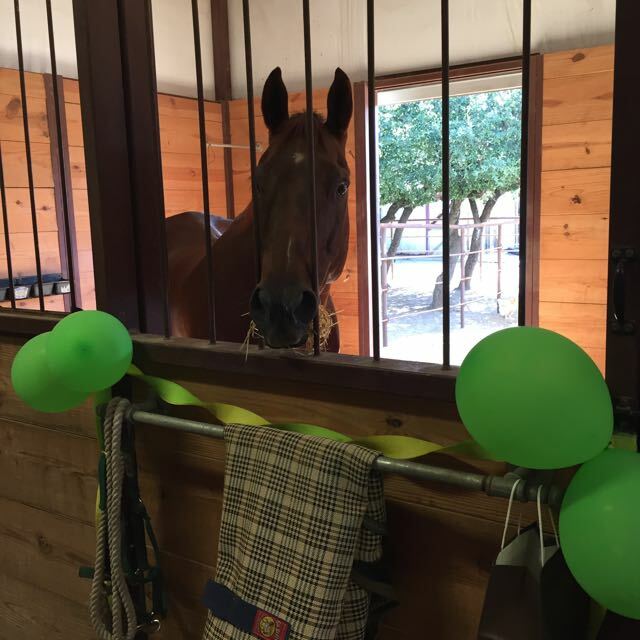 I attempted to decorate his stall in my hunts colors, but last minute planning and the lack of the correct hunter green at the local Dollar General resulted in a shamrock green, but it still looked festive and Jaguar was very interested in his balloons! 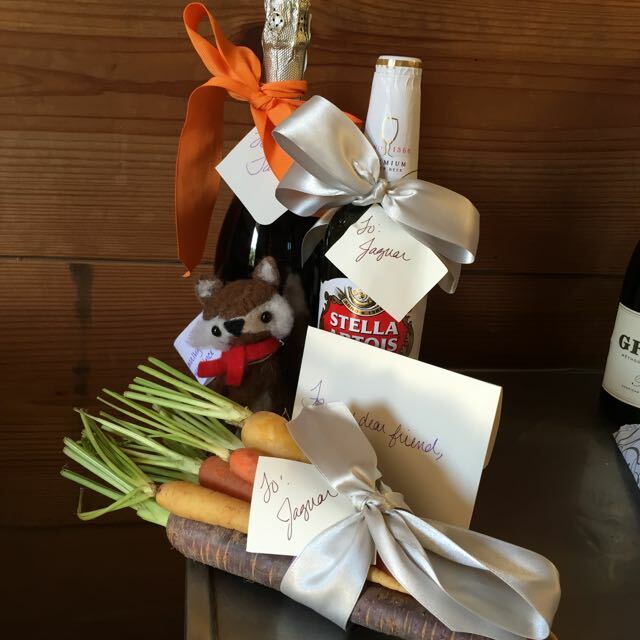 Jaguar was showered with lots and lots of fantastic gifts and there were even a few for his assistant (me)! 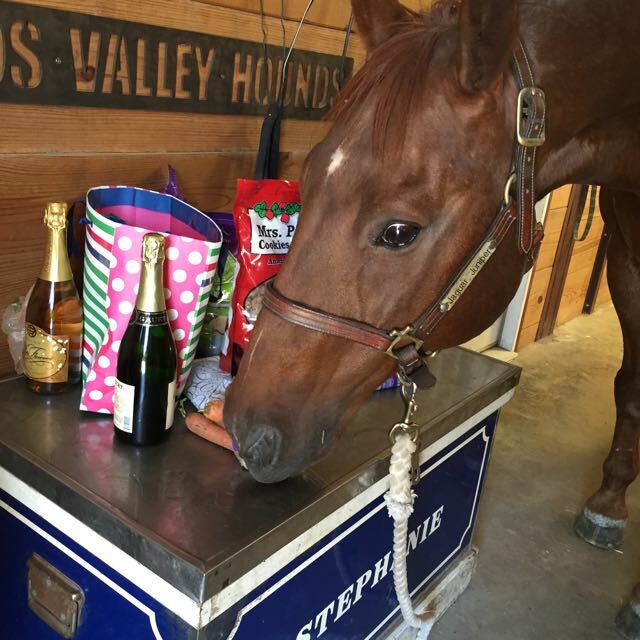 He got mostly carrots and horsey treats plus a bottle of Stella Artois to indulge his taste for beer and a Jolly Ball for his stall. I got bottles of champagne, vino and a couple lovely home accessories. Very well packaged horsey and horsey assistant gifts. I am still pretty sad about not being able to ride the old man any more, but I look forward to a new kind of bonding with him. He’s got so many treat bags as gifts that he should be able to do every trick in the book you can teach a horse using treats. We have already been working on bowing and making great progress. He’s very careful with his hurt leg, but is still game to try most anything it takes to get a cookie.